The dynamic devlopment in the sector of digitalization and the wider opening for different markt segments allowed a quality in consumer products which gives the opportunity for professional highly automized information extraction even with consumermarket based products. So sometimes you do not need to use highly professional equipment, but imagery taken by a high range smartphone, a high-order actioncam or a state-of-the-art digital camera is of adequate quality to be analyzed with our methods. 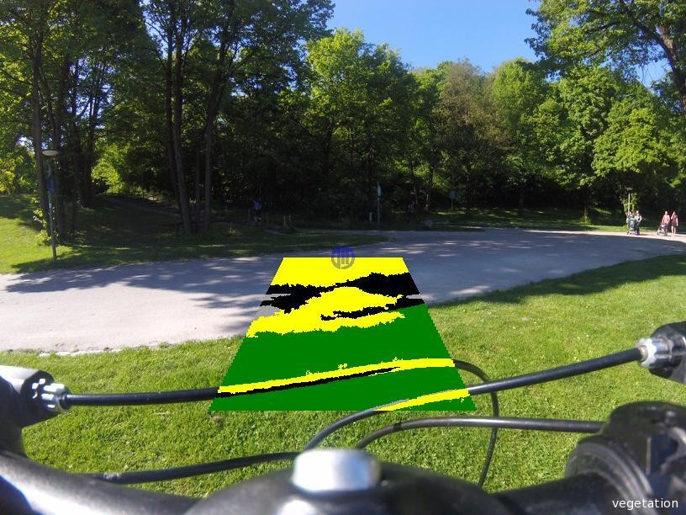 Pictures taken by a GoPro fixed on the handlebars of a byce served as a basis for the automatic analysis of cycle track surfaces. 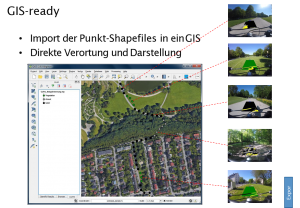 By linking the gained classifications to Geo-coordinates we could deliver a GIS-Product to give information about the surface of cycle track surfaces. This is just one example for the use our methods to gain valid statements out of imagery taken by simple tools. Contact us. We are happy to create a customized solution for your individual application.